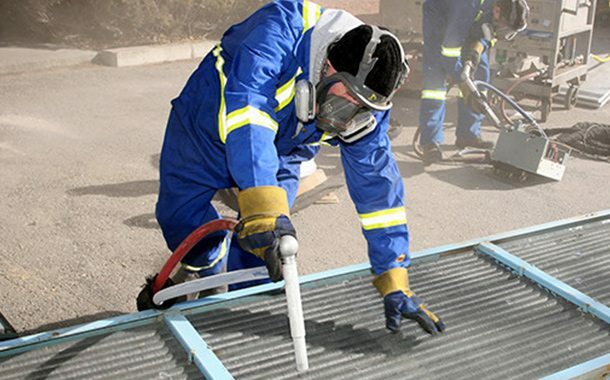 Dry Ice Blasting is a revolutionary process that is extremely versatile and efficient when it comes to keeping your company’s valuable equipment operating smoothly. Under pressure, dry ice particles (CO2) sublimate on impact as they lift contaminants from the surface without causing damage to your valuable equipment. From delicate electrical wiring to massive industrial turbines, dry ice blasting safely eliminates harmful particles and grit build-up without having to disassemble your equipment, which could lead to lengthy and expensive downtime. Because particles vaporize on impact, this process dramatically reduces waste clean-up time and harmful air-emissions often associated with other traditional methods. Protecting your equipment through a safe and non-toxic cleaning process increases the efficiency of your equipment and reduces the risk of workplace related injuries. Our highly skilled Continental technicians are prepared and well equipped with compact, portable air-driven units to address your needs on site and in remote locations. We understand how vital your equipment is to the success of your business. Protecting your equipment through a safe and non-toxic cleaning process increases the efficiency of your equipment and reduces the risk of workplace related injuries.